I’m not sure those of us in the Inland Empire notice a big difference between winter and spring but, in case you missed it, winter has past and spring is upon us. In prior articles, I espoused that spring is the time for beautification of your home for summer uses or potential sale. Today’s focus, however, will be on energy conservation. I am hoping that you will follow the advice below and fondly remember receiving it as you open your utility bills in July and August. Start by performing a home energy audit. This is a fast, relatively simple way to assess how much energy your home may be using unnecessarily and determine what you can do to make your home more energy efficient. If your inspection is done well, your hard work will pay off in the form of reduced utility bills this summer. Among the most common gaps in energy efficiency is quite literally a gap. Any place in your home that allows air in or out of the home is an area that should be inspected for potential energy loss. The most common areas for lost energy are windows and doors but a thorough inspection of the home’s interior should include; baseboards, wall and ceiling junctures, electrical outlets, switch plates and fireplace dampers. As a general rule, if the item being inspected is loose or if you can see daylight around the inspected area, you likely are losing energy. These areas need to be re-sealed. Among the most notable energy conservation methods being implemented in today’s new homes is insulation installation. Older homes likely have insufficient insulation in the ceiling and walls. A quick check of the attic will give you a reasonable idea of how well your home is insulated. In general, if you can see your floor joists, you likely need more insulation. If you can’t see them you may have enough. During your inspection, pay close attention to openings around pipes, ductwork and chimneys. If you notice gaps, fill them in or reseal them. Look for a vapor barrier (tarpaper or a plastic sheet) under the attic insulation. If your home lacks a vapor barrier, consider replacing the insulation completely or painting interior ceilings with vapor barrier paint. A quality vapor barrier, whether painted or as part of your insulation, will reduce the amount of moisture that can pass through the ceiling, further increasing the insulation’s effectiveness. Converting all of your homes lighting to LED would generate the best energy efficiency results but a wholesale changeover could come at a steep cost. If LED is not an option for today, you can still make a difference by changing out any lights that are used more than two hours each day (such as porch lights) to a compact fluorescent lightbulb (CFL). 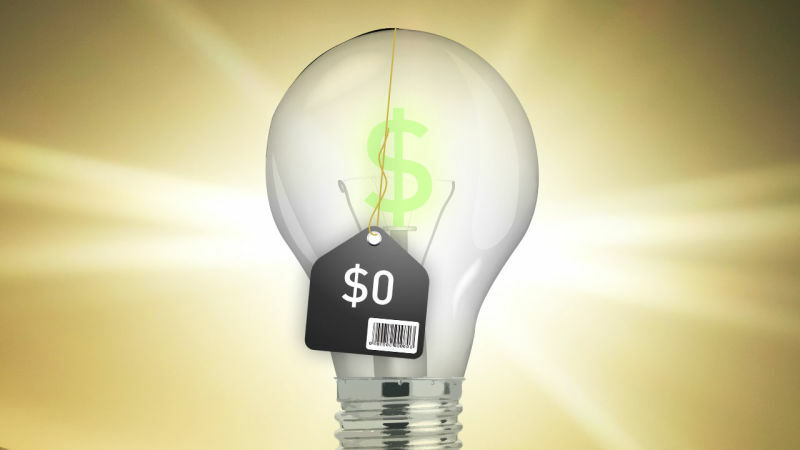 A CFL will typically save up to 75 percent of the energy used by a standard incandescent bulb. Check Your HVAC (Heating, Ventilation and Air Conditioning Systems) – According to the Energy Star Website, as much as half of the energy used in your home goes to heating and cooling. Because this portion of your home audit can produce the most energy and economic savings opportunities, I will defer to the experts at Energy Star and suggest that the reader visit the Energy Star website. Simply type www.energystar.gov into your web browser and, once on the site, search for ‘Heating and Cooling Guide.’ There is an easy-to-follow guide that can be downloaded as a pdf. Remember, according to the California Energy Commission, homes built today typically use 57 percent less energy than homes built in 2004. However, if you complete your home audit and implement a few key changes, your 20 year old home can produce energy savings comparable to homes being constructed today. My mother used to tell me to close the door because she wasn’t paying to cool the neighborhood. A home energy audit may reveal the cold hard fact that many of us have been paying to heat and cool the neighborhood, much to the dissatisfaction of our mothers. With a thorough audit and a few simple changes, we can finally live up to mom’s expectations.